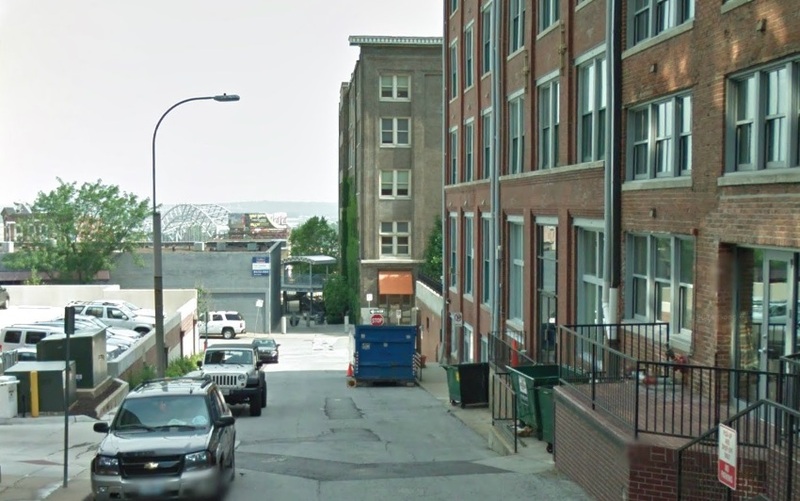 In light of the City’s recent decision to vacate yet another Downtown alley, Urban Angle is examining some of Kansas City’s most interesting in-between spaces, and why they are worth preserving. Every day this week, we will visit a different alley, each with its own unique contributions to the experience of the City. This is Part Three of Five. For an introduction to the series, check out Part One here. We’re curious to know which alleys are your favorites and why. Let us know in the comments and we’ll add it to the list! 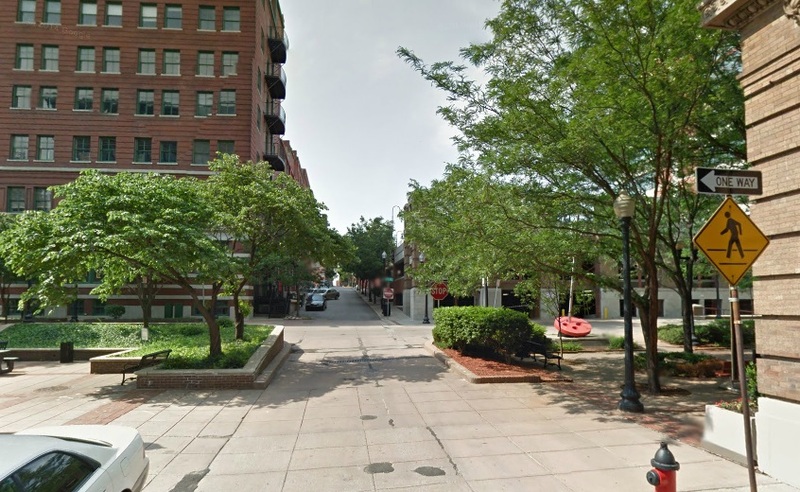 On Bank Street, storefronts, loading docks, street trees, and dumpsters mix together in a way that just works. 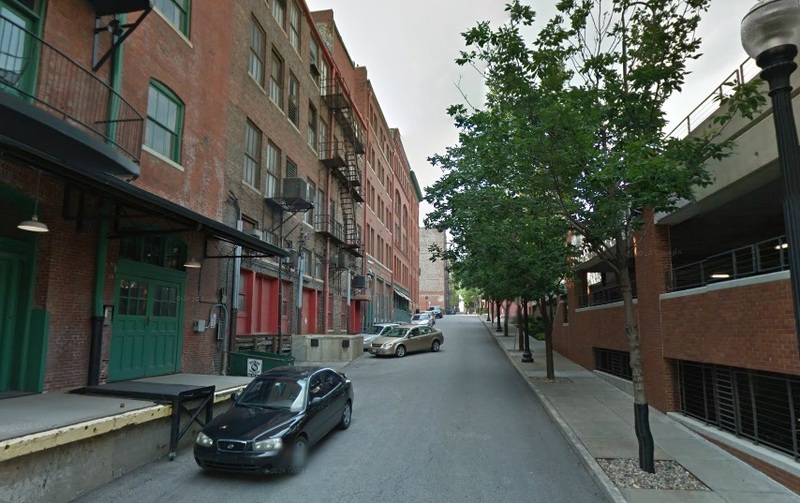 This north-south alley extends four blocks through Downtown, from the Cathedral of the Immaculate Conception on 11th Street north to the Mid-American Regional Council entrance off 7th Street. For two of those blocks between 9th and 7th Streets, it has the prestige of being named Banks Street, but we included it here because it really functions as an alley, and because it does exactly what great alleys should do: it accommodates pedestrians, amenities, and service uses together in a shared space that works for all users. Store fronts mix with loading docks. Street trees sit beside dumpsters. And it all works pretty well. Along the way, it offers a great view of the Broadway Bridge and Missouri River in the distance, and opens up into the fantastic Garment District Park at 8th Street. The parking garage presents a more attractive and pedestrian friendly front to the alley than most garages do to the street. 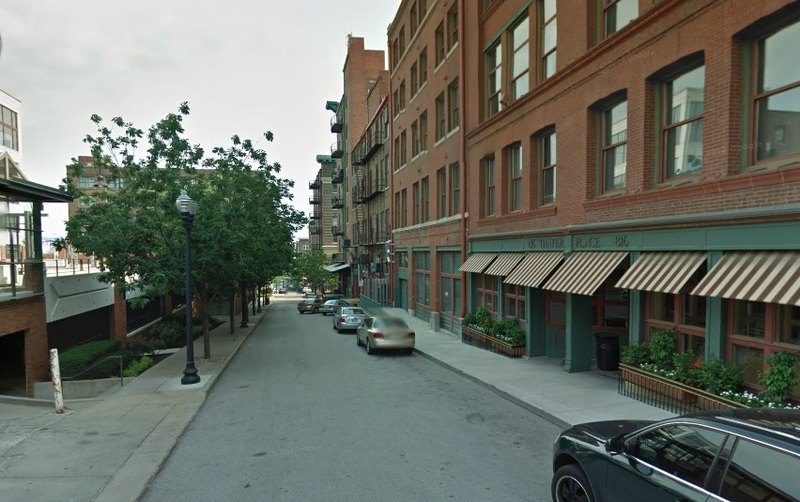 Bank Street opens up briefly into one of Downtown Kansas City’s best public spaces – Garment District Park. Views of the Missouri River and the Broadway Bridge are the backdrop to a walk down Bank Street. This is the third part of a five part series, exploring a different alley each day this week. Check out Part Four here, or go back to the beginning.